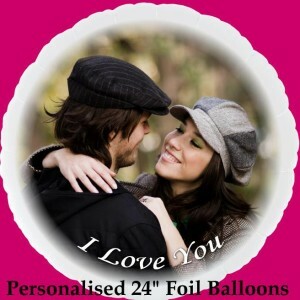 Our sister site, Bonboniera Balloons, have a new range of exciting personalised photo balloons that are just that slightly different, and with quite a WOW factor. Since being introduced a few weeks ago our photo printer has been working flat out to keep up with the demand, and the response from recipients has been 100% positive. Sue absolutely loves creating these so with a bit of persuasion she has agreed to make these our August special. If you order a personalised photo balloon in August you will receive a £5 discount when you use the coupon code augustphoto when you checkout. The order has to be processed in August otherwise the discount code will not work, but the delivery date can be anytime in the future. There are only 50 discount coupon codes available so get in quick while there is still availability.